HeiTech Padu Berhad’s revenue climbed 18% to RM426.9 million for the FY ended December 2017 as compared to RM362.6 million in 2016. 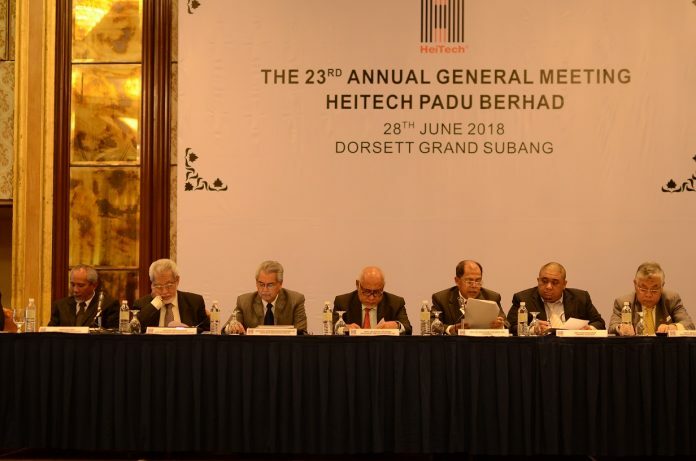 Speaking at the Group’s 23rd AGM, Datuk Sri Mohd Hilmey Mohd Taib, Chairman of HeiTech says the IT segment still remained the biggest contributor to the Group’s revenue at RM322.0 million or 75% in 2017. Engineering segment was the second largest contributor in 2017’s revenue. This segment had contributed decent numbers to the Group since its acquisition in the past two years. Notably, the revenue has increased by RM60.1 million or 290.6% from RM20.7 million in 2016 to RM80.7 million in 2017. In tandem with the increase in revenue, HeiTech’s total operating expenses has increased from RM359.8 million in 2016 to RM449.8 million in 2017. Personnel expenses accounted for RM100.6 million or 22.4% (2016: RM91.2 million or 25.3%) of the Group’s total operating expenses. The Group believes that resources are assets that required to be continuously invested in order to ensure quality deliverables to the customers. The Group has also booked in higher impairment losses at RM9.2 million in 2017 against RM4.7 million in 2016 following continuous assessment carried out on the recoverability of investment related accounts. On the net results, the Group had fared reasonably well since the previous two financial years. Unfortunately, the good performance had stalled in 2017 when the Group recorded a loss after tax of RM15.3 million. Despite higher revenue, the newer contracts secured during the year with lower margins and conclusion of a major contract with significant margin from the IT segment have significantly reduced the overall performance of the Group. As a result, the Group still managed to secure contracts worth RM222.1 million in 2017, of which about RM127.7 million related to information technology. The remaining RM94.4 million were related to engineering works for the energy sector. Among the significant contracts that were secured from the public sector are the maintenance of MyIMMS system for Jabatan Imigresen Malaysia worth RM42.4 million, and Kementerian Kesihatan Malaysia for the development of clinical documentation module in its Patient Management System worth RM10.1 million. In the private sector, the Group has managed to secure a 4-year contract for security infrastructure services of RM33.3 million for Companies Commission of Malaysia, and maintenance of managed wide area network (WAN) infrastructure services contract of RM41.9 million from Malaysia’s largest unit trust house. 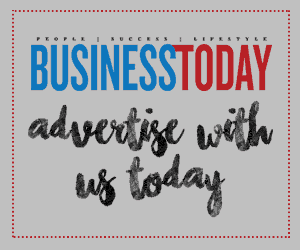 As far as non-IT business is concerned, the Group has invested in companies within various industries areas such as mailing and document processing, automotive parts database and engineering works. Overall, this non-IT business contributed about RM109.2 million or 25.6% to the Group’s revenue in 2017.